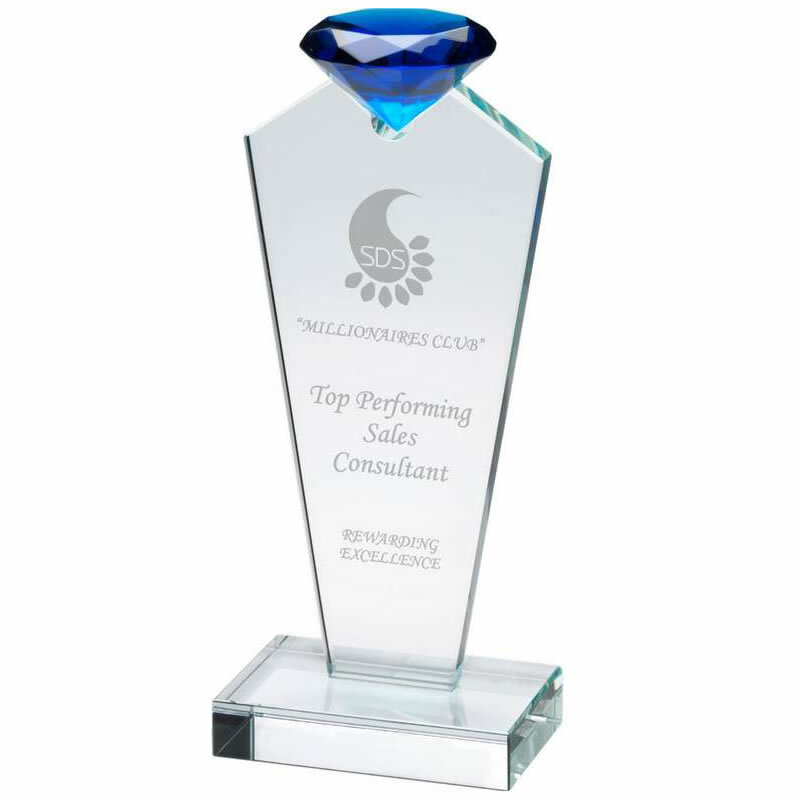 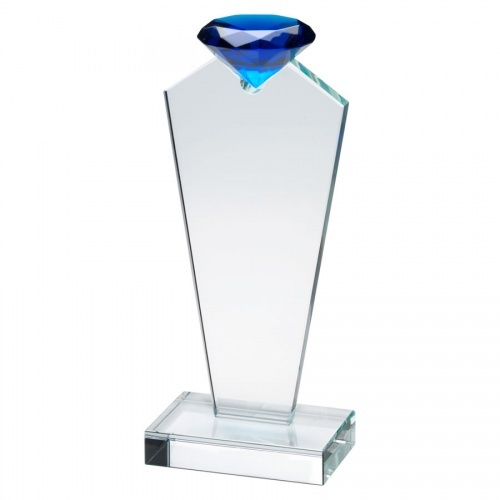 Distinctive award trophy crafted in 10mm thick clear glass, featuring a tapered column topped with a fully 3D blue glass diamond. 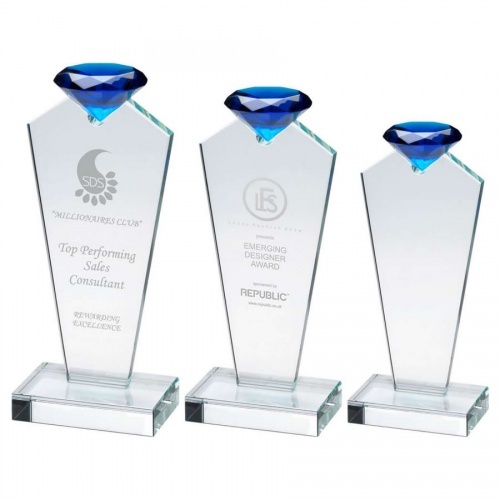 Available in three sizes, these awards can be engraved on the large flat front of the plaque. They are supplied with a quality presentation box.